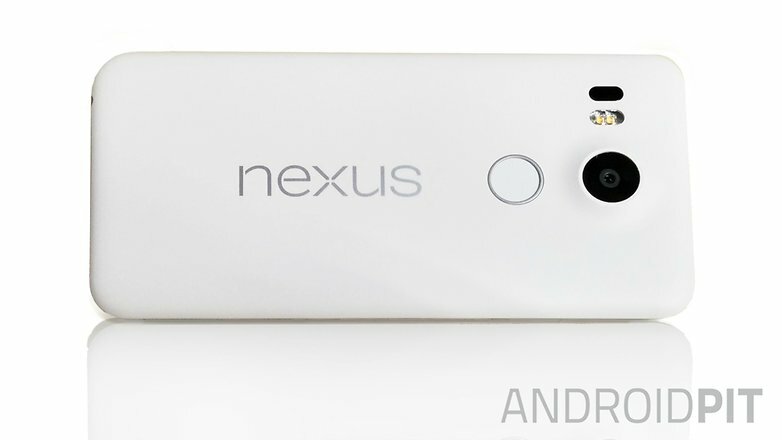 When it comes to the 2015 LG Nexus, it seems like the device might be with us sooner rather than later. Not only have we seen several sources corroborate a September 29th launch date for the device, but judging by the amount of leaks and speculations so far, the device does appear to be in its final stages of development. After countless specifications and features leaks earlier, you can add another render leak to the mix today which shows the rear of the device. Take a look at the image below. While last year’s Nexus from Google was quite an impressive device, coming with specifications and features that would be found in a flagship smartphone, it didn’t catch on to the fingerprint recognition trend that has swept over the Android world and which Google itself will be lending dedicated support to in Android Marshmallow. But this year’s Nexus duo from the software giant will be making up on past errors on several accords, with the devices not only expected to feature the popular biometric recognition feature, but the LG made Nexus to also come with a price tag below $400. Coming towards today’s render leak, we see the same design for the device surface once again as in the past. LG’s Nexus for this year is said to be based on an existing company prototype and in the image above, you can see its fingerprint sensor and rear camera, coupled with a dual LED flash and a laser auto focus module. As far as specifications of the device go, this year’s Nexus from LG is expected to feature Qualcomm’s Snapdragon 808, coupled with 3GB of RAM and a 5.2-inch display will FHD resolution. This year’s mantra from Google seems to be less performance and more user affordability rather that a flagship device. And it just might work for the company as well, since the Nexus lineup has generally been preferred by users looking to experience unadulterated Android rather than go for a top tier device. Things do seem to be nicely shaping for this year’s pair and if the rumors surrounding September 29th turn out to be correct, then it shouldn’t be long till we get to see it either. So stay tuned and let us know what you think in the comments section below. We’ll keep you updated on all the latest.